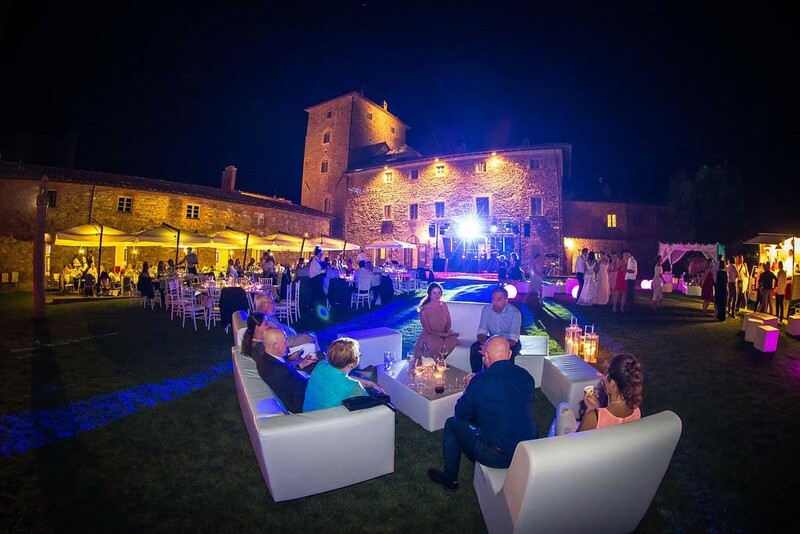 In August, we planned the wedding of Steffi and Christof in the Tuscan countryside. 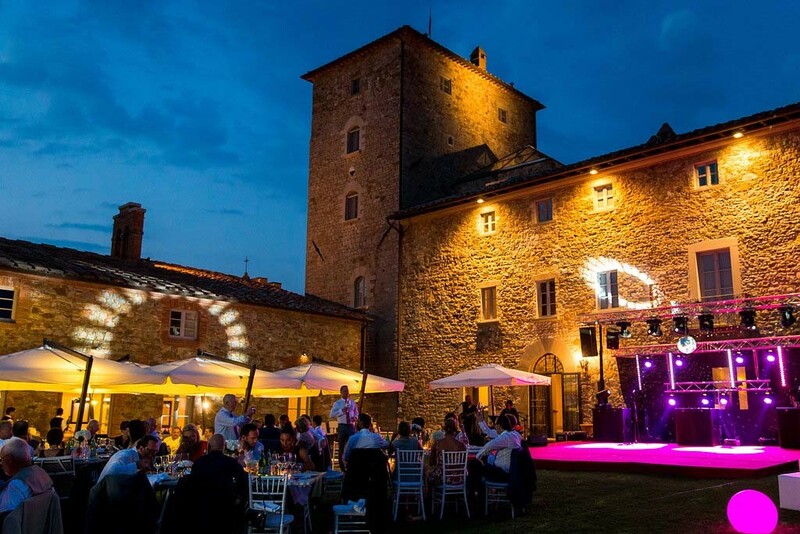 The celebrations were held at a luxurious Borgo hotel, an elegant property set in the heart of Tuscany. 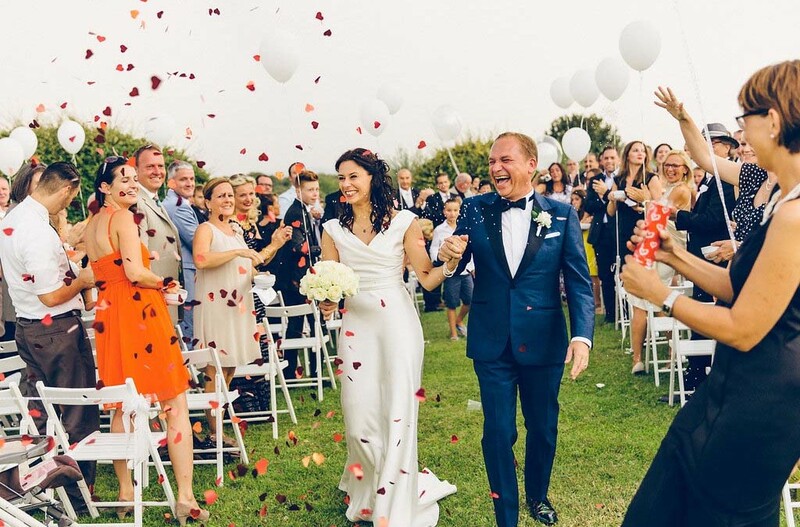 The Borgo hotel provided the ideal setting for a supreme wedding. The high quality hotel oozes elegant charm and it is surrounded by acres of unspoilt, Italian countryside. 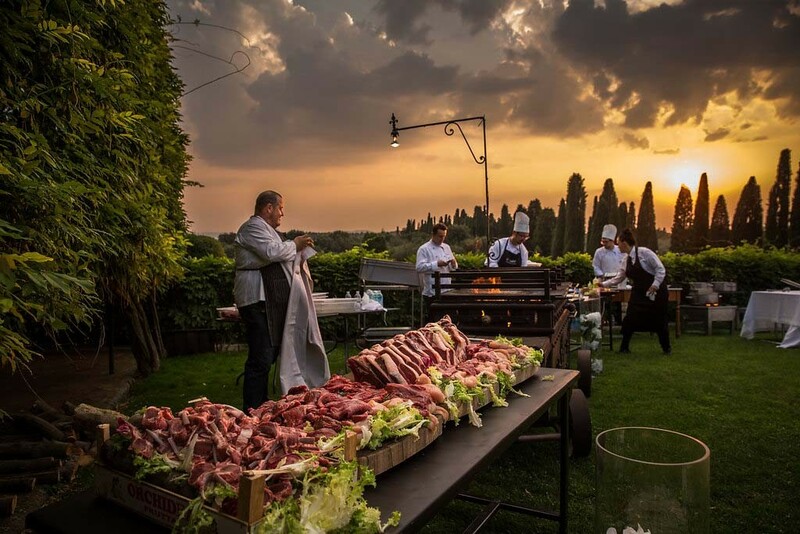 As well as being set in a stunning landscape, Borgo also boasts awe-inspiring interiors as well as a number of amenities, including a large, heated pool and several carefully tended, private gardens, tennis courts. 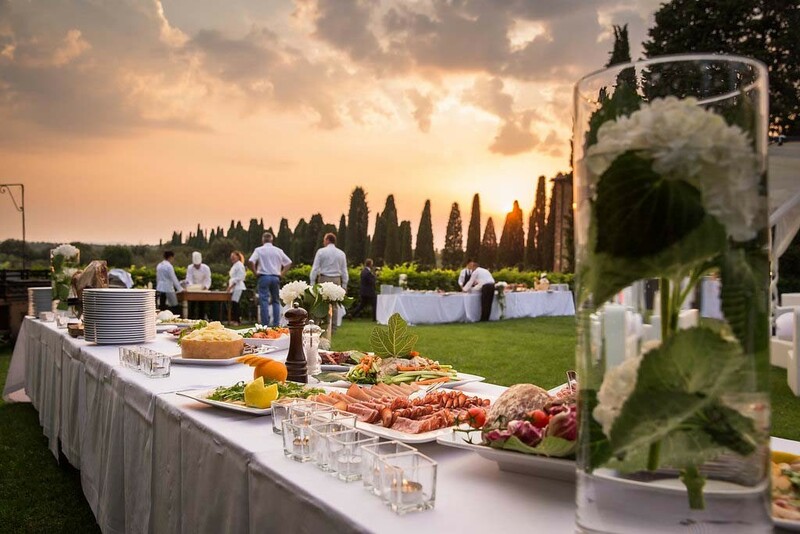 Steffi and Christof decided to hold a symbolic wedding ceremony in the hotel’s private gardens, with the striking Tuscany landscape lending a beautified backdrop. 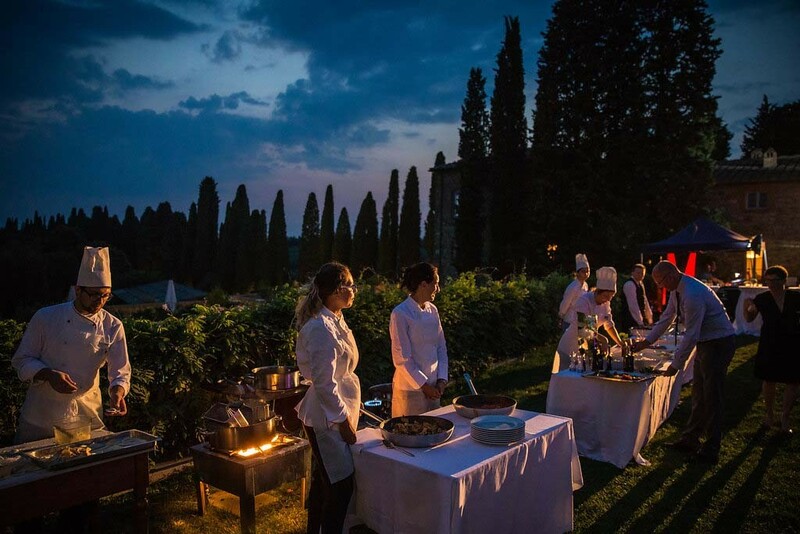 The romantic wedding ceremony held in those surroundings cannot be easily forgotten: one need only recall the verdant hills of Chianti rolling into the distance, their tops touched by the glistening hands of the sun. Steffi and Christof’s wedding reception was held in the Borgo hotel garden. 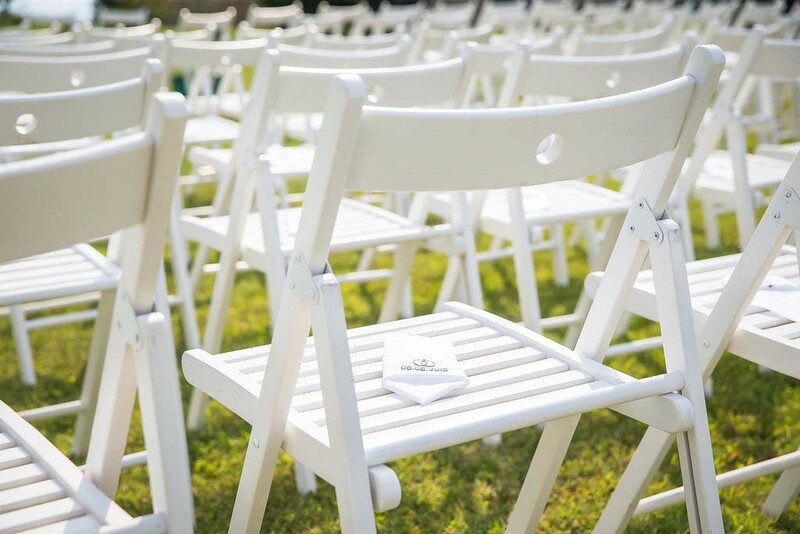 The coupe chose a stylish, elegant theme which incorporated fresh, light colors (predominately white and cream) and lounge chairs. 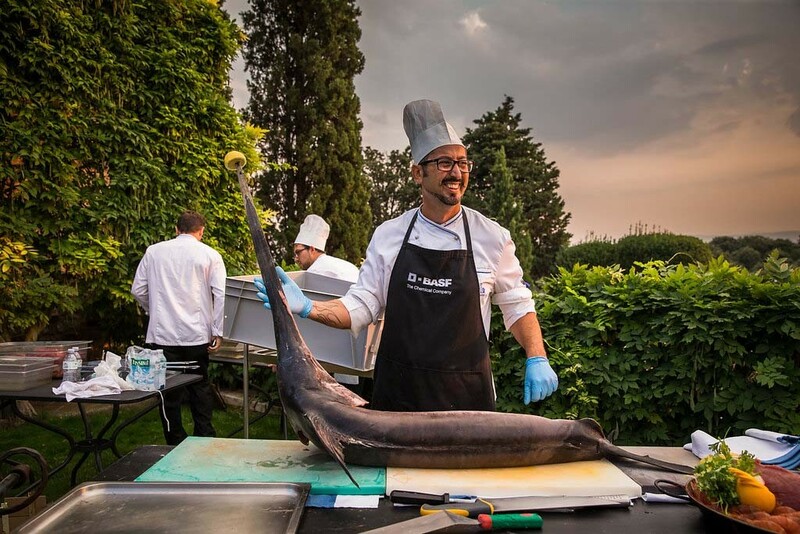 The quality of the interior design was matched by the quality of the food provided: Steffi and Christof booked a high quality buffet for their guests which allowed them to choose between a number of exquisite delicacies, from Argentinian beef to fresh lobster. Fine Italian wine was also readily available. The crowning glory of the reception was a carefully crafted wedding cake with delicious fresh fruits in the shape of two, joined hearts. 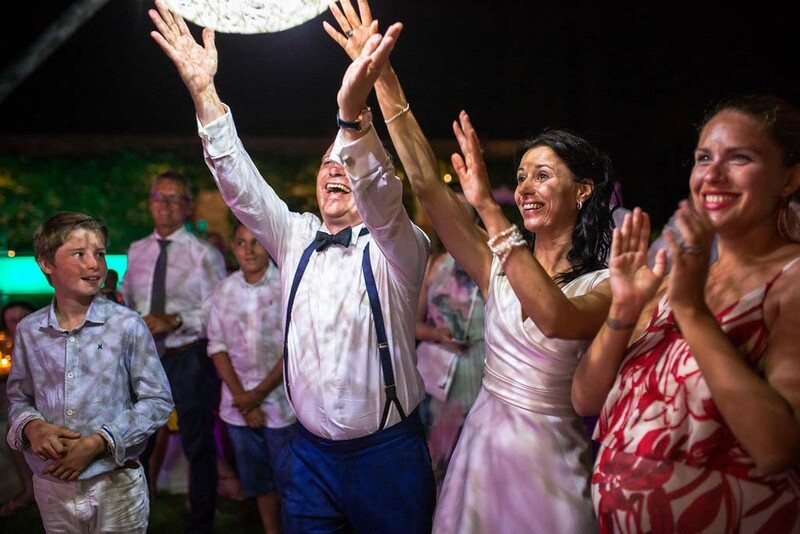 Steffi and Christof’s unforgettable day was rounded off with an eclectic mix of great entertainment and performance artists, music was provided by live bands and renowned DJ’s. 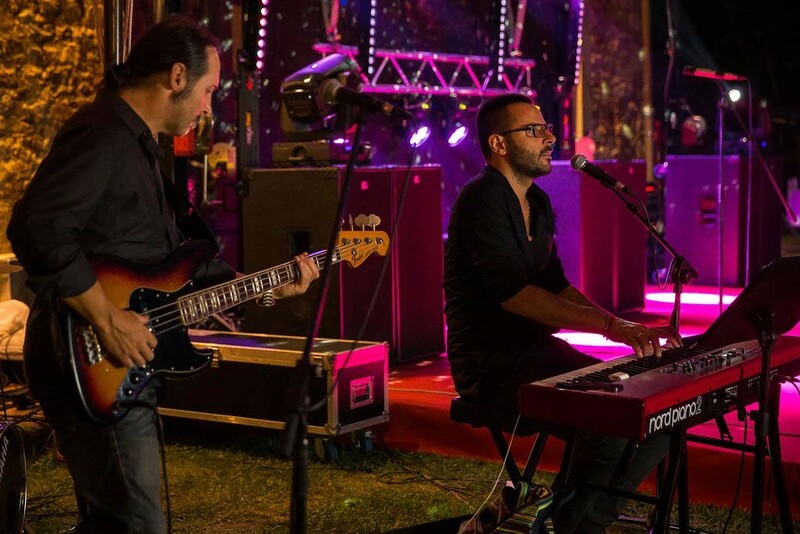 Both the married couple, (and their guests,) were thoroughly impressed with the quality of the entertainment provided. The happy company danced into the early hours of the morning, revelling in pure joy, peace and laughter.